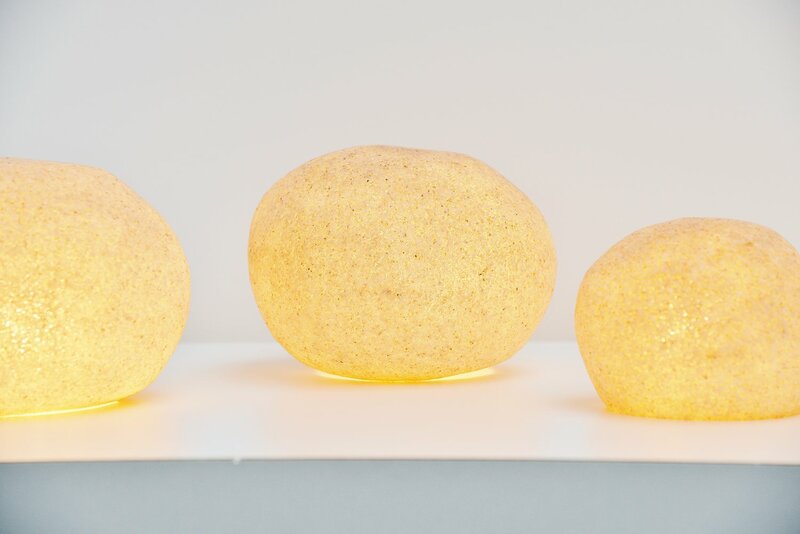 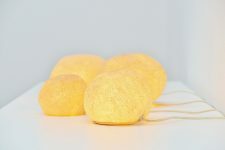 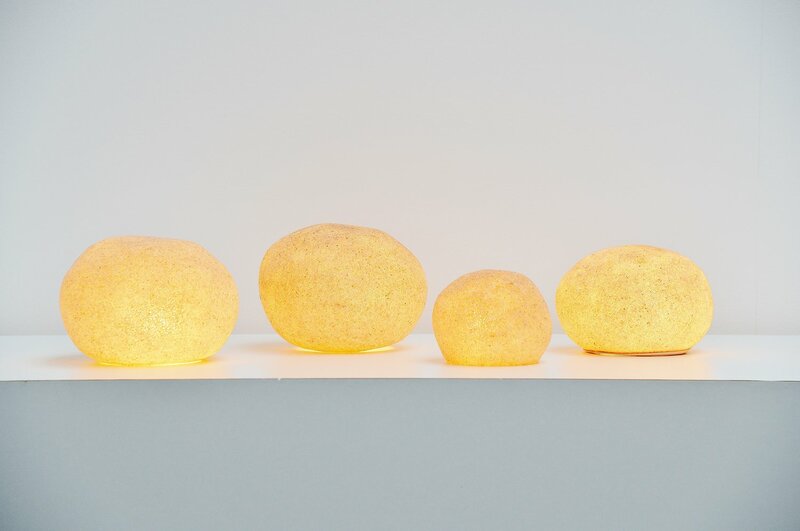 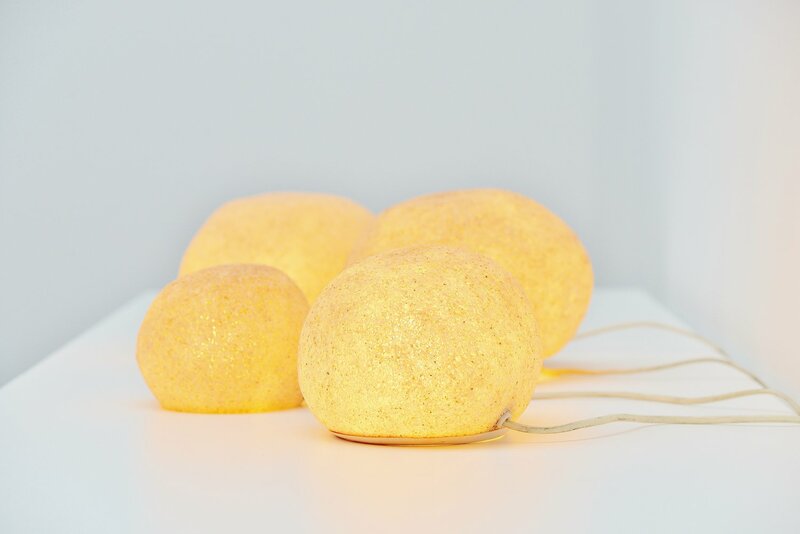 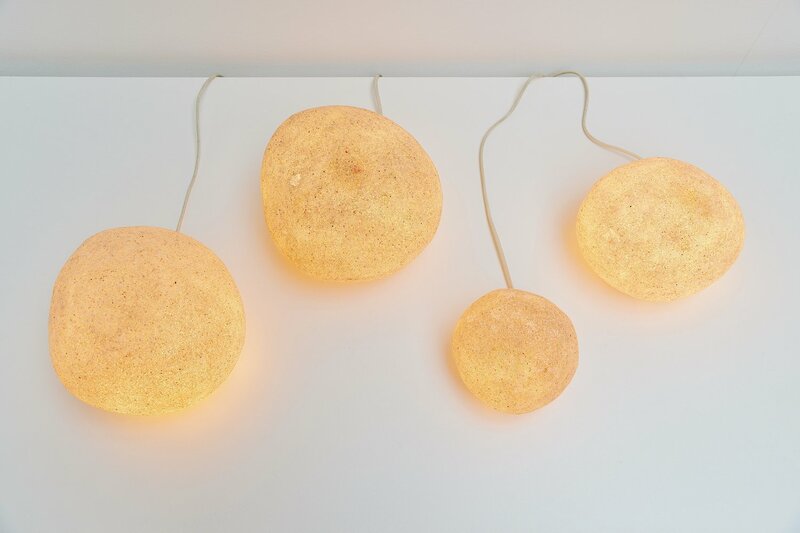 Very nice set of 4 rock lamps designed by Andre Cazenave for Disderot 1972. This is for a set of very early models from Disderot, in the early productions when there weren't any metal floor protecting discs yet. 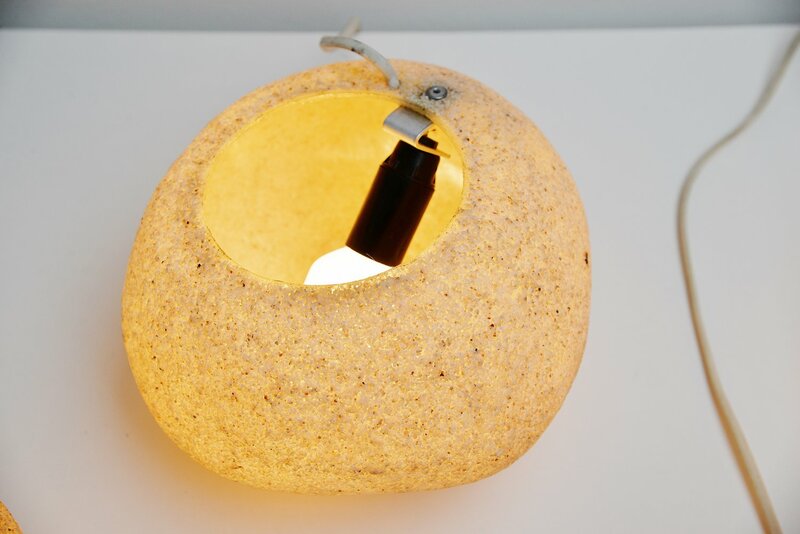 These lamps were bought in France in 1972 and come from first owner. 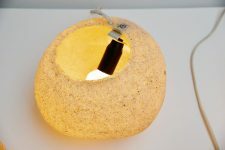 The lamps look very decorative in a set of 4 next to each other and give very nice warm light when lit. 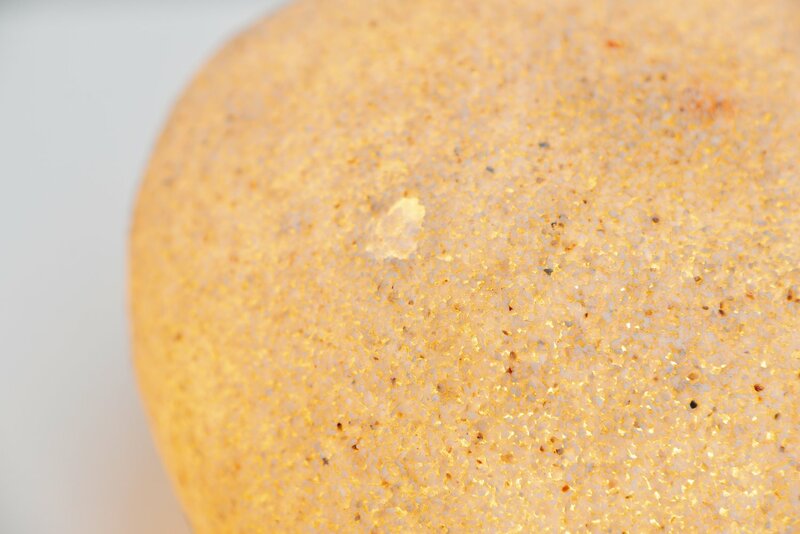 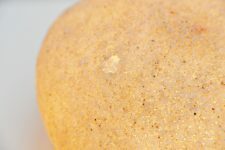 The lamps are in good condition only 1 lamp has a small bump in it, see 5th picture for this bump.